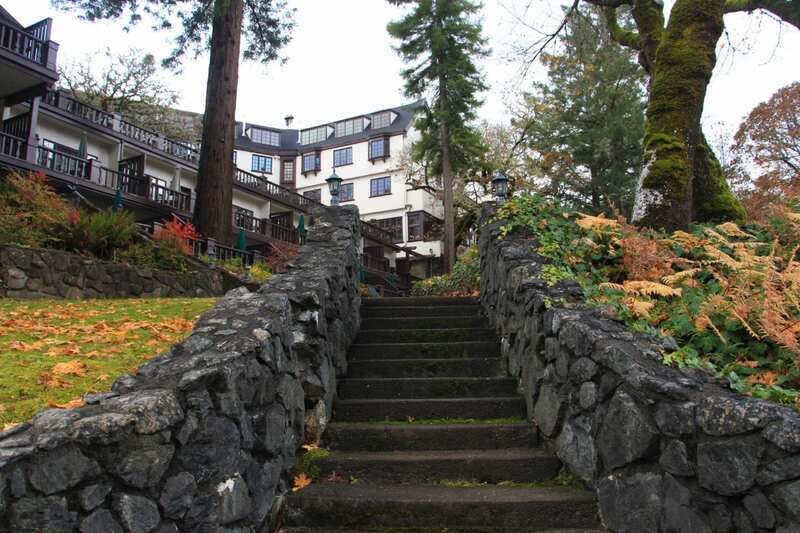 Steeped in Old World charm and traditions spanning over 90 years, Benbow Historic Inn in Humboldt County is a nostalgic retreat in any season, but Christmastime at the inn is pure magic. 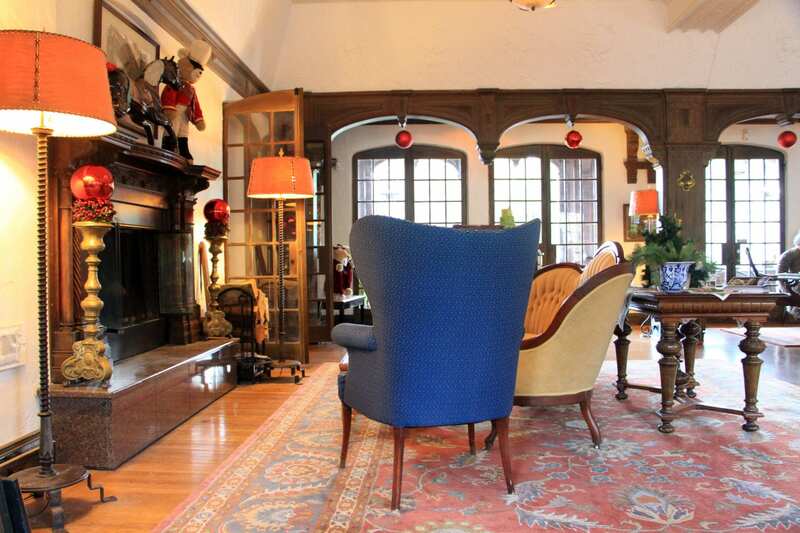 Beginning the day after Thanksgiving, the inn’s Christmas elves transform the 1926 English Tudor-style inn into an old fashioned, Toyland-themed wonderland. 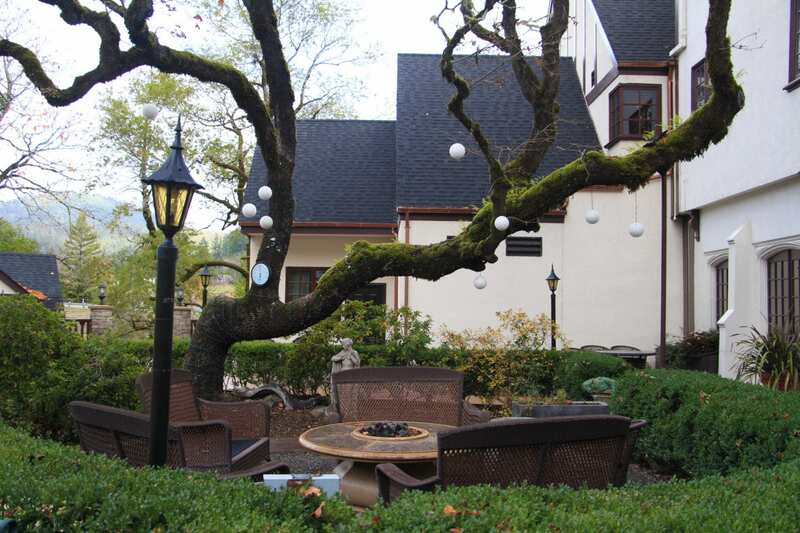 The inn is strung with thousands of lights inside and out. 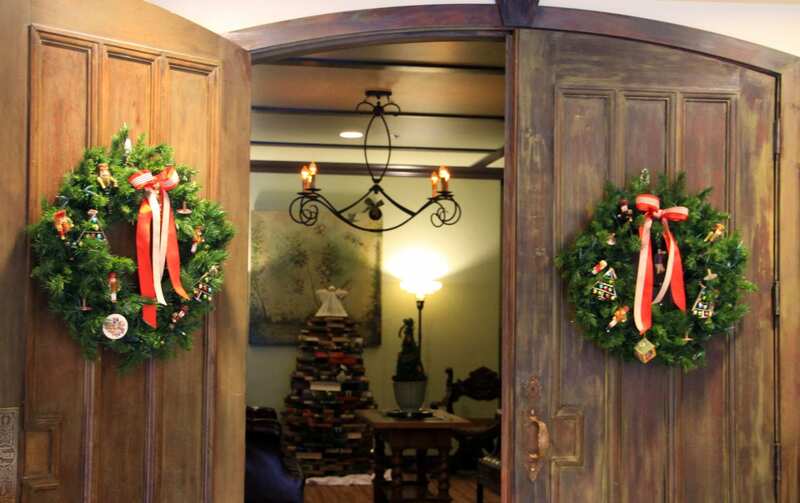 All of the inn’s common areas are festooned with garland, holly, ribbons, and ornaments. Teddy bears are placed on display and vintage toys are piled under a 15-foot Christmas tree. Guests are welcomed with a warm, wood-burning fire in the lounge and the soft strains of Christmas music playing overhead. 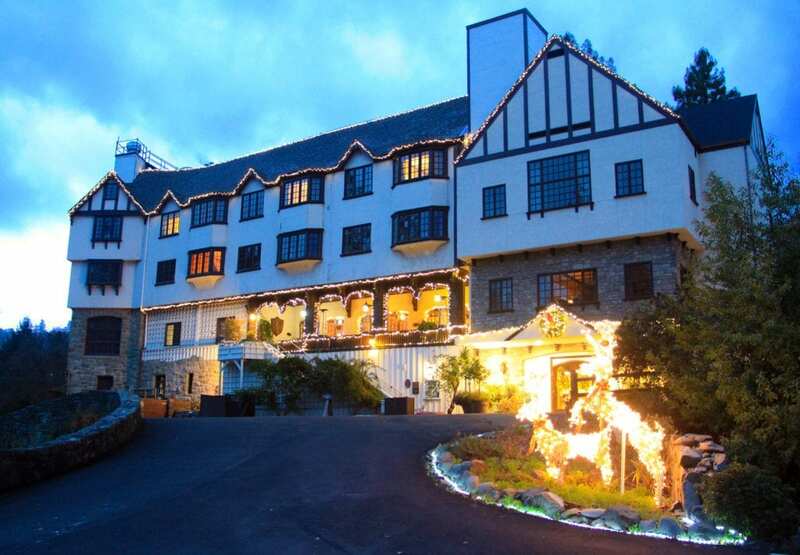 Generations of families return to Benbow Historic Inn year after year to address holiday cards by the glow of the fireplace, piece together holiday puzzles at large tables in the center of the lounge, sing carols around the Christmas tree, whisper wish lists into Santa’s ear, and enjoy lavish holiday dinners in the inn’s formal dining room overlooking the Eel River. I met a woman in her 50s whose grandparents had first brought her to the inn as a child. She had returned many times over the years with her parents and then with her own family. This year, she was planning to return with her elderly aunt. 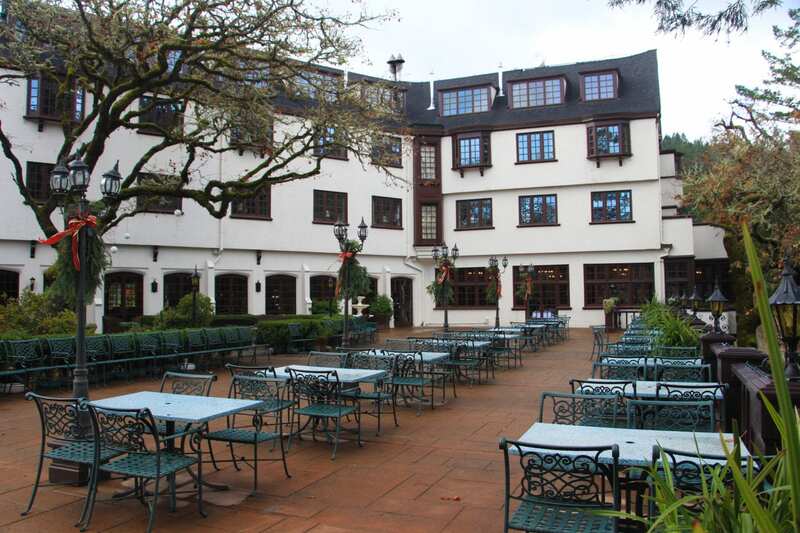 The inn had just completed an extensive renovation that included a new wing with ADA compliant suites and an elevator to service all five floors. Making the historic hotel ADA compliant had long been one of the proprietors’ ambitions. In March 2018, they were able to realize that dream along with completing construction of a third wing that the Benbow family had drawn into their original plans, but were never able to finish. The third wing houses a new, ADA-accessible ground floor lobby, 10 new suites serviced by an elevator, and new meeting and event spaces. The renovation also included re-configuring the inn’s lobby, bar, and lounge and improving accessibility for the inn’s common spaces. As we were standing in the lounge, the woman who had been coming to the inn for five decades tried to explain where the bar had once been in relation to the lobby. But as we studied the banks of French doors, the coved ceilings, and the intricate wood detail, she was struggling. The remodel offered few clues. In addition to making the inn ADA compliant, the proprietors’ goal was to seamlessly blend the old architecture of the inn with the new. Their renovation and restoration work earned them an award for the Best Small Historic Inn/Hotel from Historic Hotels of America. The hotel was selected from a field of more than 200 nominees. Teresa Porter, who is one of the inn’s proprietors, was also the recipient of the Hotel Historian of the Year Award. Teresa worked with descendants of the Benbow family to collect and catalogue a treasure trove of historical photos, blueprints, letters, paintings, and ephemera from the original nine brothers and sisters who built the inn. Each of the new suites is named in honor of the Benbow siblings and include displays of their personal effects. I stayed in the suite named for the family’s artist, Evangeline Benbow. Evangeline’s fine art paintings once hung throughout the hotel. She had also hand-painted all of the rooms’ wooden doors with beautiful motifs. Many of the doors she painted are still in use in the inn’s historic rooms today. Teresa Porter collected and restored several of Evangeline’s paintings to hang in the Evangeline Benbow suite. Evangeline’s oil paint set, palette, and brushes are on display in an antique buffet in the room along with other personal effects. 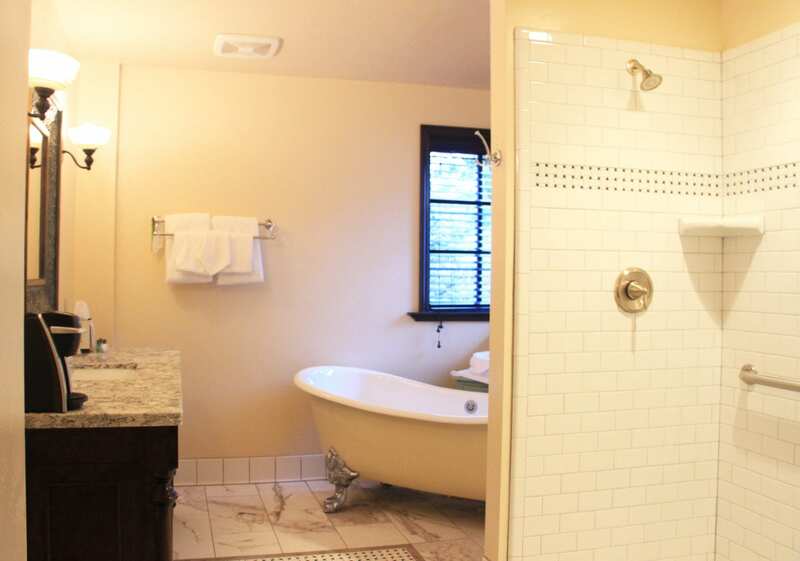 The spacious, ADA-compliant suite evokes a bygone era with its graceful wood-framed windows, woven black-and-white marble tile, and claw foot soaking tub, but many of the amenities are decidedly modern. The room is anchored by a remote-controlled gas fireplace. Lighting is controlled by motion sensors. The electrical outlets include USB ports. 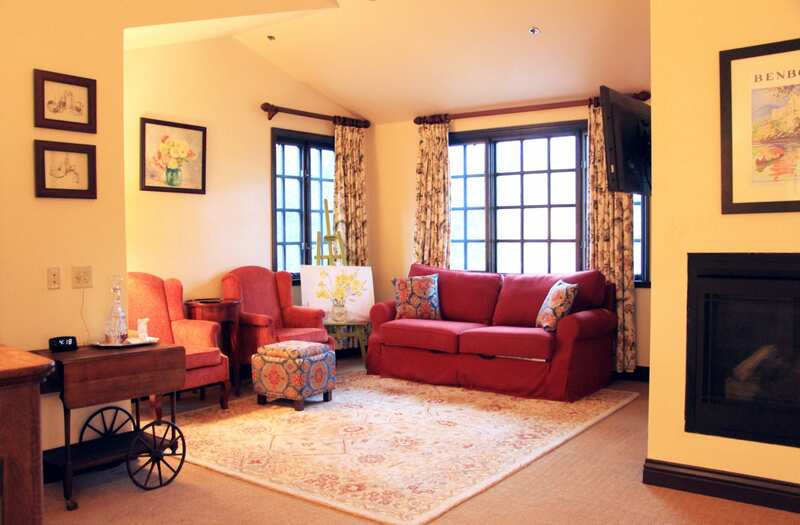 Two flat-screen televisions hang in the seating area and the bedroom. The suite also features a king bed, vaulted ceilings, a large tiled shower with an in-shower seat, and a private balcony with outdoor seating. The new suites are unified with the historic rooms and terrace rooms through their classic, contemporary décor and gracious, Old World hospitality. Afternoon tea and scones—a long standing Benbow tradition—are served daily in the historic lounge from 3-4 p.m. The new bar, featuring beautiful woodwork to match the original wood trim, boasts an extensive collection of fine wines and spirits. The wine list features over 450 selections, including many options from Humboldt, Mendocino, Napa and Sonoma counties. The restaurant serves brunch daily from 8 a.m. to 2 p.m. and serves dinner nightly beginning at 6 p.m. The inn’s special four-course, Christmas Day dinner will be served from 2-8 p.m. and features curried butternut squash soup, persimmon and butter bibb salad, and main course selections of roasted quail, prime rib, braised lamb shank and halibut. Dessert temptations include molten chocolate cake and peppermint cheesecake. 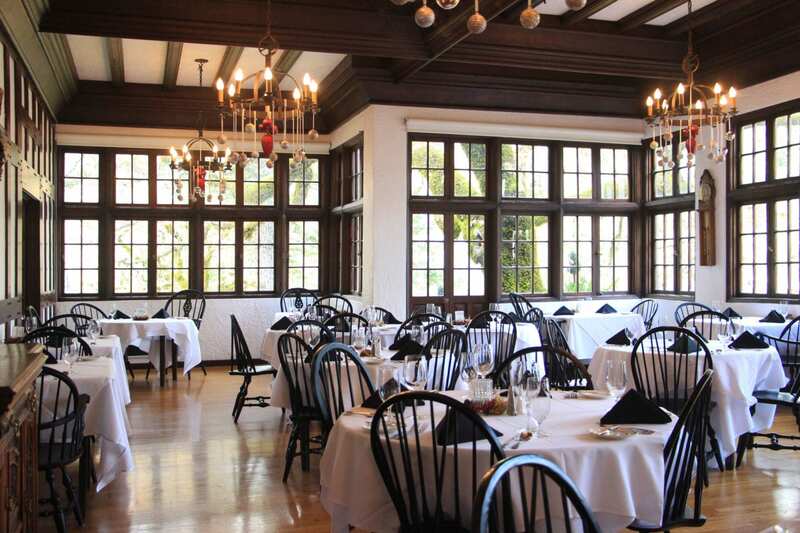 The inn will also host a special prix fixe New Year’s Eve dinner for guests.